We believe in helping you and your brand by protecting, repairing and monitoring your online reputation. We access and analyse your online presence and develop the best strategy to help generate positive search results. Managing your reputation is of prime importance in this digital age. Inaccurate and negative press that appears online about you and your brand can be very damaging to your reputation unless acted upon. At Be Unique, our team of talented search engineers, social media managers and content creators work together using proprietary technology and industry best practices to push down negative information and comments and promote positive and accurate information onto the top of Google search results. Our dedicated team manage your online presence by boosting your positive reputation and outranking the offensive search results. Our first step is to access and analyse your business to help project it better online. Your online reputation must be built on facts. An honest portrayal of the same will help maintain your reputation in the long run. We rebuild your online reputation by understanding you and your brand better. Before we set up the strategy, we assess the online damage and bad press. This helps us understand how far and how fast we need to plan and put the right strategy into action. Content is the key to building your reputation. Relevant content with targeted keywords helps to rank your brand name better in the search engines. We create website content aimed at improving the SEO. We generate targeted and keyword rich content for social media handles to ensure higher search engine rankings. We create positive content based on the facts you have presented to push down the negative content circulating on the internet. We start by improving your current online presence, which includes your websites, mini websites and all social media platforms. Our expert developers & SEO engineers rebuild and optimize your website and mini websites to help them to rank better on the search engines. Our social media experts help set up and manage your social media profiles to promote positive content about you and your brand regularly to generate positive feedbacks and content sharing/ re-tweets. We help manage your profile to project you as an industry thought-leader by sharing relevant content. Create video content to help reach more audience as well as to help you rank better on the search engine. We focus on marketing relevant content in your name regularly, which will improve the chances of your online presence raising above the bad press. Regular press releases through leading PR distributors targeting you and your brand to generate positive news online. Relevant content targeting you, your brand or your industry expertise is circulated online through third party websites to improve your SEO rankings as well as your reputation. Online reviews from all platforms are monitored and improved. We encourage people to provide positive feedbacks online about you and your brand. We make sure to link the positive reviews and rating to Google map, to ensure better SEO results for your name/brand name. We believe that our job is half done by promoting your positive online presence. Continuous monitoring is required to ensure complete success. We do continuous monitoring of your online presence to ensure that positive and relevant content stays at the top of every search result. 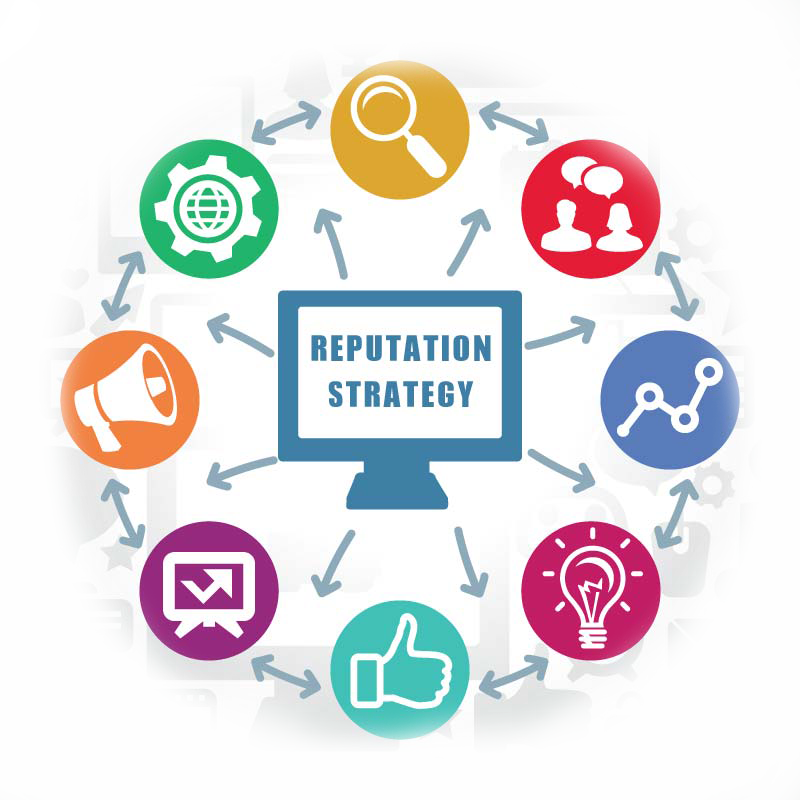 We promise to protect your online reputation through regular content updates, web page optimisation and social media management.